The Kitchen is known as the heart of every home...and with very good reason! The kitchen is, in most homes, a place to not only make food but to come together as a family and socialise. There are endless choices of design to suit all tastes and styles when it comes to kitchen, and something to suit every budget and space restriction - but with so many looks to choose from it can be hard to narrow down your choices. With that in mind, I've put together some of my favourite kitchen looks from just a handful of the many on offer. 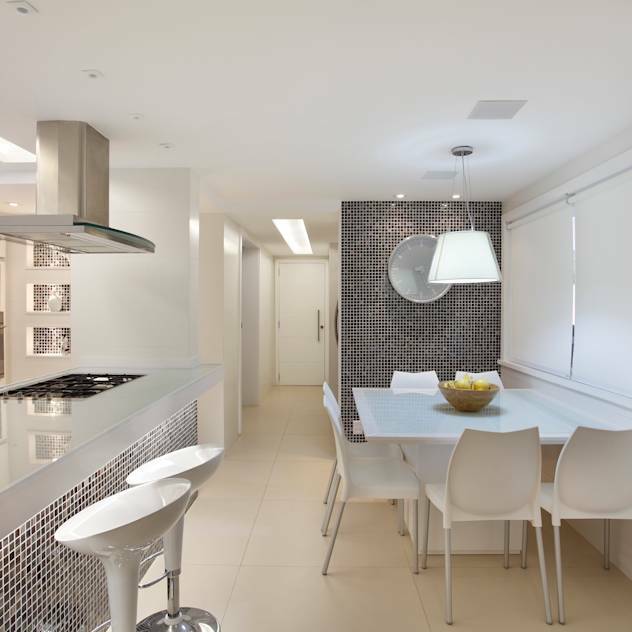 I love the simplicity of this design, the mix of bright white worktops with silver appliances lends a modern and clean overall look. The spotlighting keeps that perfect brightness, and there is plenty of space for preparing elaborate dinners whilst also offering a certain attractiveness - pretty & functional, this is the perfect combination for a busy family home. Whilst perhaps not to everybodys taste, I can't help but feel a certain charm from a design such as this. It evokes memories of time spent in midtown USA as a friends mother baked banana bread and handed out fresh cookies & milk to us each morning - there is such a feeling of warmth and homeliness given here. I love the mix of colours, and the ornate dining chairs add such a streak of glamour to an otherwise rustic design. 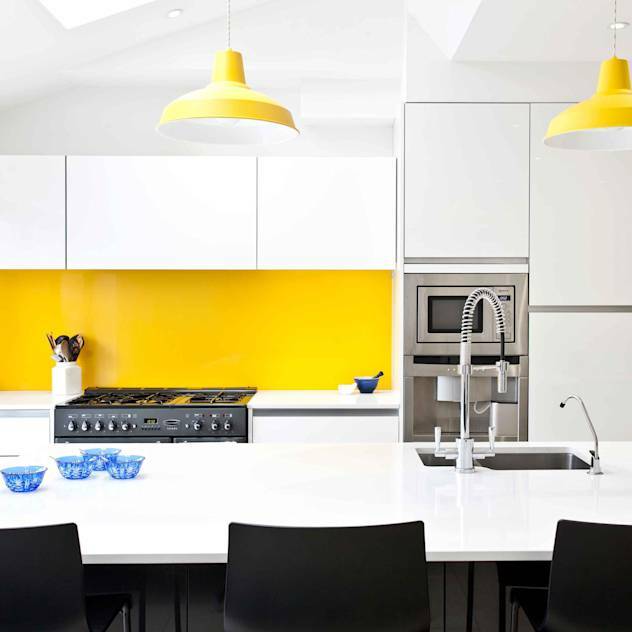 This look reminds me of something you'd stumble across while flicking through the Ikea catalogue - I love the use of bright yellows and blues mixed with the brilliant white worktops and cupboards. I can see this kind of design working well in a small kitchen space to really liven it up, and it would ideally suited to young families. Perhaps my favourite overall look, the mix of modern funky furniture with a touch of bling whilst everything is kept very simple and sleek is perfect for me. This would certainly my own personal choice! 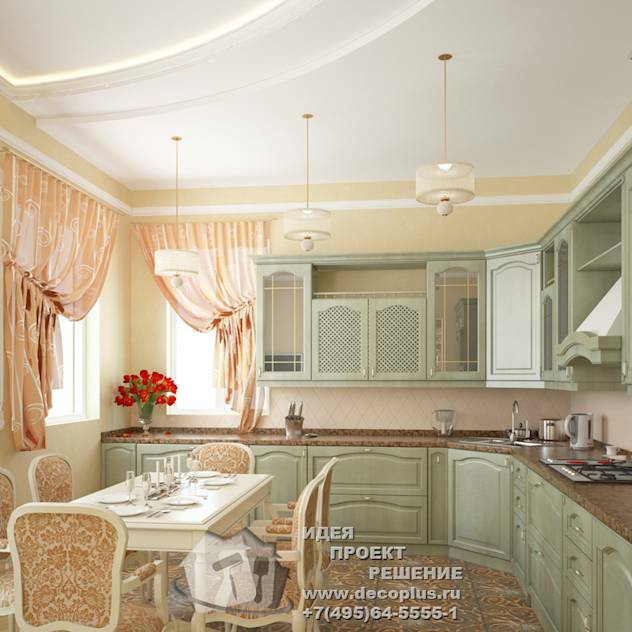 What style do you prefer when it comes to kitchen decor? Love the bright and simple look the best!